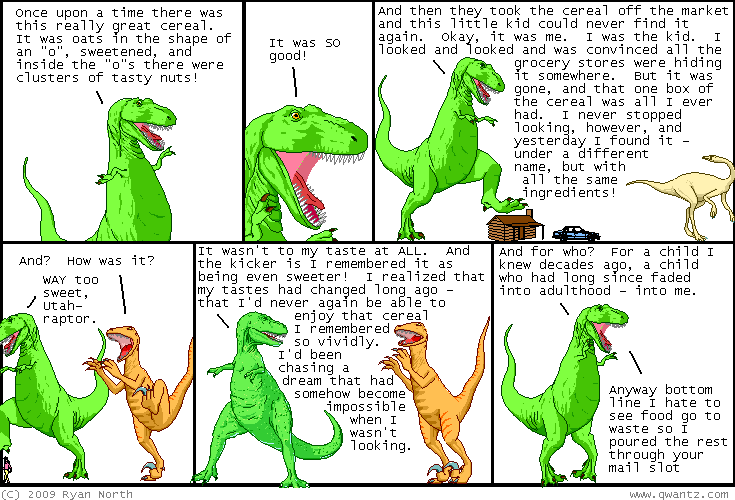 Dinosaur Comics - April 22nd, 2009 - awesome fun times! April 22nd, 2009: That is a delicious-looking cake in today's update of Daisy Owl. One year ago today: hi! here are some things that could go right today!